Scion xB Release Series 9.0 2012 is painted in Hot Lava, to make sure the car stands out of the crowd, which is paired with a unique honeycomb patterned lower grille. 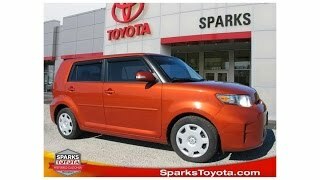 Scion will only build 1,500 units of the xB RS 9.0. The limited edition model will carry a MSRP of $18,110 and $19,060 when equipped with a manual and automatic transmission respectively. DALLAS, Texas, September 29, 2011 – Scion today debuted for the first time its 2012 xD Release Series 4.0 (xD RS 4.0) and xB Release Series 9.0 (xB RS 9.0) models at the 2011 State Fair of Texas. The two limited production Scions will begin arriving at dealer showrooms in October. 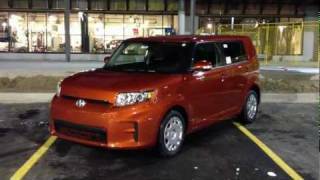 Scion is also pleased to announce that all 2012 Scion models will come standard with a new Pioneer™ audio system that features Bluetooth® hands-free, Bluetooth® streaming audio and HD Radio™ technology. Both models will be on display in the Scion booth at the State Fair of Texas until October 23. The 2012 xB Release Series 9.0 comes painted exclusively in Hot Lava, making sure it attracts attention wherever it goes. 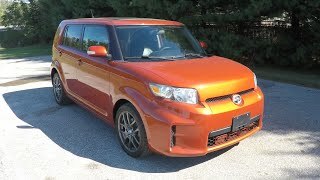 The xB’s hot exterior is paired with a unique honeycomb patterned lower grille that cleverly incorporates the brand name “SCION” into the mix. Upon remotely locking or unlocking the doors, the front and rear Scion badges illuminate, allowing this Release Series to be spotted easier in a parking lot at night. The xB RS 9.0 features exclusive perforated synthetic suede front and rear seat covers that feature an embossed Scion logo and Hot Lava color-tuned highlights. The xB wears an illuminated badge that is individually numbered. 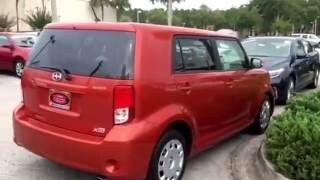 Scion will only build 1,500 units of the xB RS 9.0. The limited edition model will carry a MSRP of $18,110 and $19,060 when equipped with a manual and automatic transmission respectively. The MSRP does not include a delivery, processing and handling fee of $730. Beginning on October 3, Zeus - our favorite God-of-the-Gods & creator of the High Voltage Scion tC RS 7.0 - returns to work twice as hard to introduce the xB RS 9.0 & xD RS 4.0 from the comfort of his ‘cradle’ in a :30 broadcast spot. Additional support by way of print, online & out-of-home also begins in early October. The xD and xB Release Series models will come standard with an all-new AM/FM/CD/HD/USB 160-watt maximum output Pioneer™ audio system. New standard features for 2012 include HD Radio™ technology and Bluetooth® connectivity that allows both hands-free phone connection as well as streaming audio capability. Both models come with the Scion Service Boost, a complimentary plan covering normal factory-scheduled maintenance and 24-hour roadside assistance for two years or 25,000 miles, whichever comes first.